The American Simmental Association is proud to present its first PTP Herdsman of the Year Award at the 2015 National SimGenetics show in Denver. 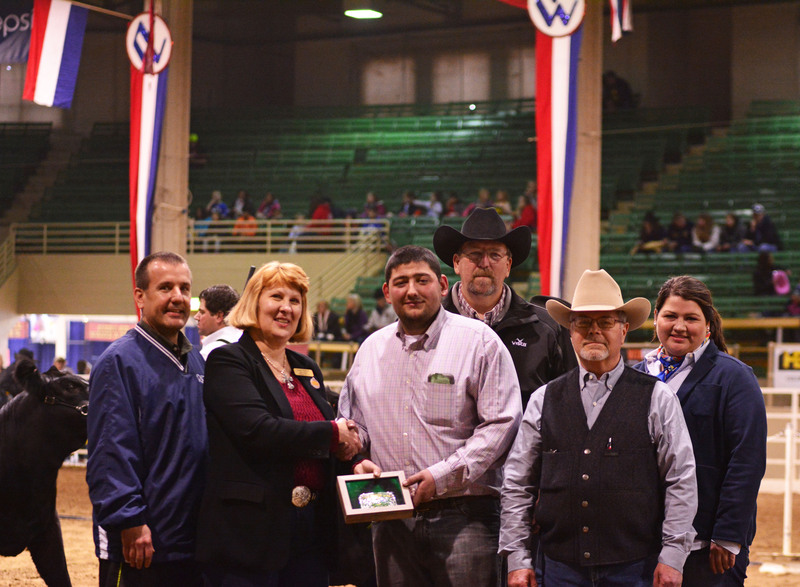 The winner was chosen by the exhibitors who voted for the person who most supports and promotes the SimGenetics industry on a personal and professional level while gently commanding the respect and upholding the honor and dignity of respectable cattleman. This years recipient is a very dedicated and responsible person who leads by example. His knowledge and people skills have contributed greatly to the recent success of Trennepohl Farms. As herdsman there, he is not only a team member, but a part of the family. This young man has devoted his entire life to promoting Simmental cattle. As a junior member he participated successfuly in numerous activities and served the American Junior Simmental Association as a Trustee. Congratulations to the inaugural herdsman of the year recipient, Thomas Lundy. Click here to view the complete results from the 2015 National Western Stock Show Simmental Pen Shows.